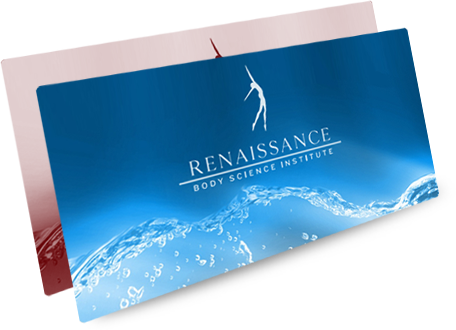 RBSI’s vision is to enrich the quality of life of our clients by maximising personal potential on every level. We are committed to nurturing optimum health in our clients by applying breakthrough knowledge, supported by leading edge technology and standards of excellence. 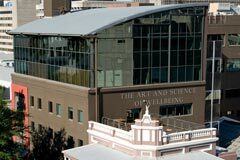 Situated in the center of Cape Town CBD we offer a luxurious and spacious gymnasium of almost seven hundred square meters. Fitted with the most sophisticated gym equipment in the world, from Technogym ®, the decor ambiance is a sleek marriage of imported charcoal granite, carpeting and rich Brazilian walnut paneling. Equipment Includes: -Touch screen TV’s on all cardio. -The new Cardio WaveTM, specifically designed for women. -KinesisTM, a pully system, designed to move as you move. 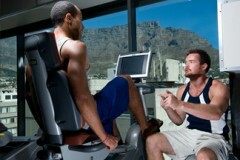 -The Wellness SystemTM, for all your personal training needs. -Powerplate, vibrate your way to the success. -Yoga classes, Wednesdays 17:30 to 18:30 -Steam room and shower facilities. Members Receive: -Complimentary parking (on availability) -Access through fingerprint access. -Bath Towels and sweat towels provided for each workout.